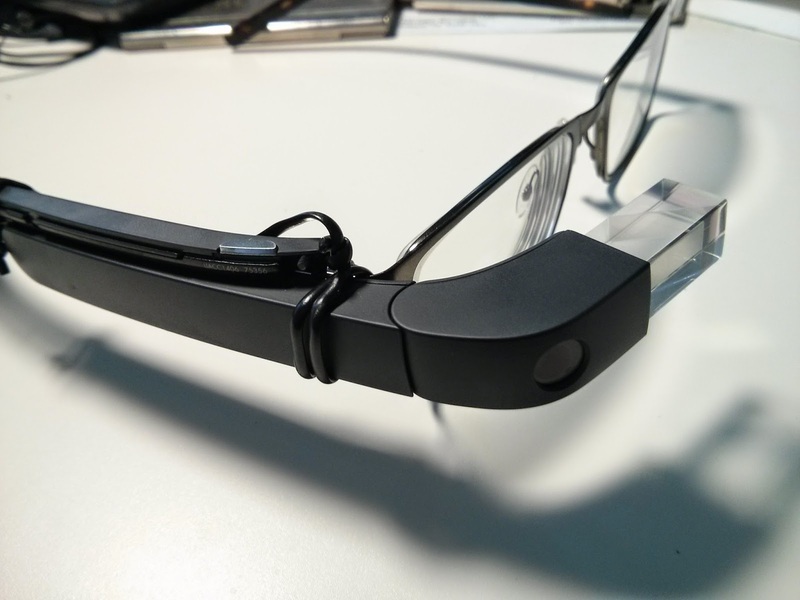 I recently got my Google Glass. 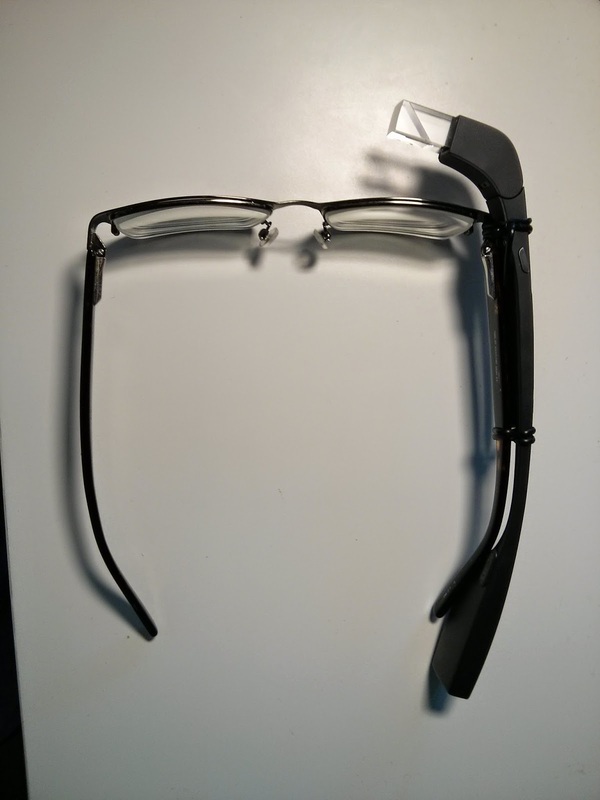 I was very excited about the product and the future of head mount displays in general but a very practical problem arose as soon as I tried to setup the device: I wear prescription lenses and without them I cannot see anything on the Glass display. I happen to have kept, or rather that I haven't thrown them out yet, some twist ties from my Kinect package: they are long and they have good-looking insulator skin. I imagine that the availability of such material should not be a problem for people owning electronic gadgets. 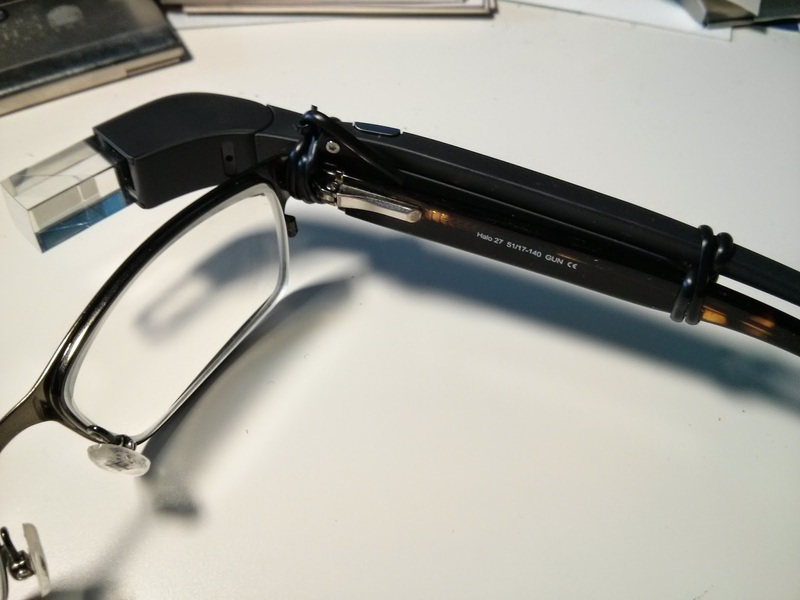 I immediately anchored Glass onto my prescription frame with two of them. They worked terrifically since the first setup. To keep enough space between the lens and Glass, a little touch sensitive space (anterior to the anterior twist tie) is sacrificed. But I had no trouble using the touch pad between the ties. I secured the first tie on the front piece instead of the tempo. 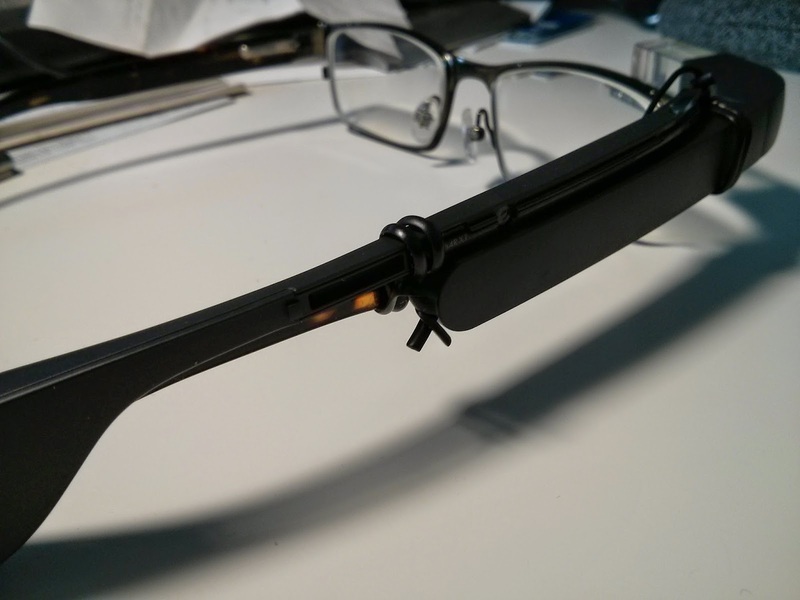 This prevents my eyeglass from folding but that was okay for me. 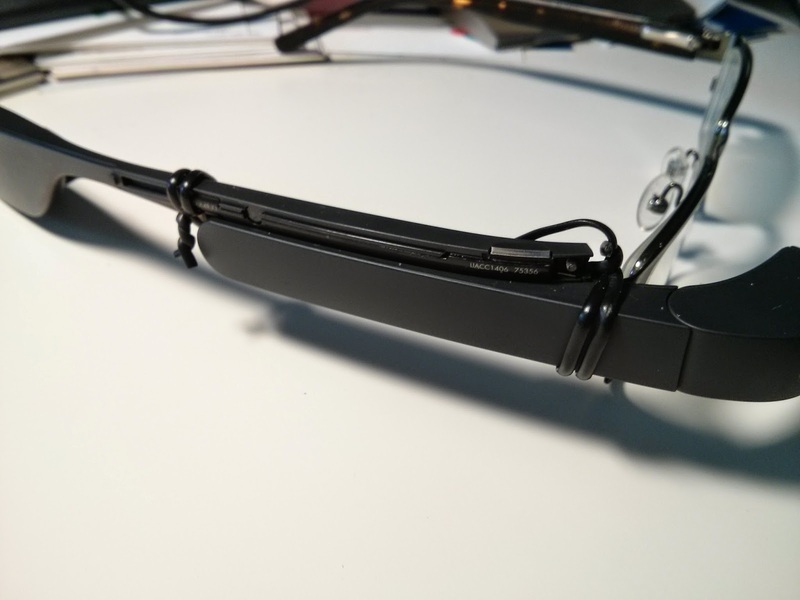 I think this works nicely on my eyeglasses because the side is rectangular providing enough support. The malleability of the twist ties offer a lot of room for adjustment and experimentation. The other important thing is that this method does not damage Glass. If you decide to try this, remember to twist the ties at the end to provide enough tension. And the usual disclaimer applies, this solution works for me and I believe that it works in general but I don't know if it will work in your case and I cannot be responsible for its consequences. So proceed with caution and common sense. Update: you will need to detach Glass from its original frame first by unscrewing the Torx screw near the camera button (the screw stays in the socket afterwards as seen in the images). Thanks for the sharing this information. Get crazy bulk. Nice blog. Please visit our site Crazy Bulk Cuttingstack.